Juliet is house sitting in Italy and is more than a little surprised when she encounters a strange man in the apartment. Logan is actually the owners son and, when the shock wears off, the two find their attraction is mutual. A brisk holiday romance with picnics and day trips leads to a declaration of love and an invite to an ancestral home in Ireland, the 1800s Carissima, built by Lorcan's Great-Great-Grandfather. 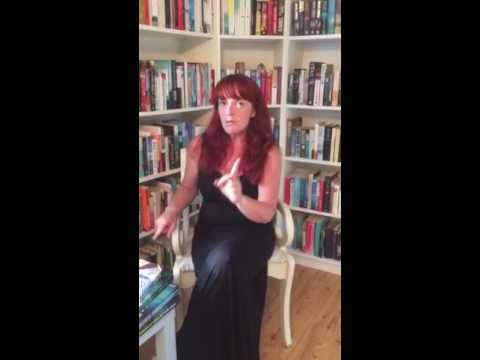 Juliet is not eager to visit Ireland (presuming she will have to move there permanently), preferring the fast paced life of London and she wonders if her relationship with Lorcan is worth the effort. Meanwhile, the history of Carissima and its original residents, come to light with the discovery of a diary in the library of the house. 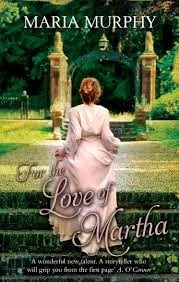 Martha, a governess, was passionately in love with Edward but was brought to Ireland during their courtship, with him remaining in England to secure their financial future. Their story interwoven with the one of Juliet and Lorcan, and Carissima becomes the link. This is Maria Murphy's debut novel and taking on 120 years of historical fiction is no mean feat. The reader gets a quick glimpse of modern times in the one page prologue and is then whisked back in time to Berkshire, England, 1888 and the world of Martha and Edward. The Pershaw family have taken her under their wing but the agreement is one they seem to benefit from, as they gain a full time governess for their young daughter Beatrice. When the young doctor is called to the house to attend to Beatrice's fever, Martha is smitten. Edward is also in awe, and within days they declare their love for each other. Similarly, in 2010, Juliet and Lorcan are 'twitterpated' within hours and plans to be together are launched upon with great gusto. All within days of meeting. I have to admit at raising my eyes to heaven at this stage. The Story meandered for a bit, with excess narrative (the church fire was not required in the novel, in my opinion) and I very nearly gave up. The thing that kept me going was Martha. I wanted to know what happened to her. What had happened to her great love with Edward? I had lost interest in Juliet and Lorcan, for sure, but Carissima appeared on the scene and brought the story to life. The descriptions of the property were limited but enough to make me want to visit. The grounds with walled gardens, a lake and rolling, gentle hills sounded idyllic. The whispers in the night and the unexplained turning on and off of lights made for more page turning. Eventually, upon discovery of the 1800's diary in the library, the story found itself. The missing threads were tidied up and the atmosphere came to life. Martha's story was the heart of this book. It just came a little too late. I would have liked more from the Pershaws and less of Juliet and Logan. Maria can certainly write though. You can tell she really connected with the character of Martha and with the idea of Carissima. I'm sure the historical fiction genre is her niche, perhaps for a more mature reader and I think we will see may more beautiful covers, with her name on them, over the next few years.